The daily disruption and removal of dental plaque is important for the maintenance of good oral hygiene and the prevention of periodontal diseases and caries. While regular twice daily toothbrushing is a common habit for many people toothbrushes are unable to reach the interdental area. A range of interdental aids have been used and their use will depend on the size of the interdental space and the ability of the patients to use it. 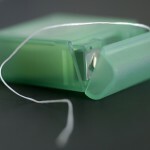 The main aim of this Cochrane review was to evaluate the effectiveness of interdental cleaning devices used at home, in addition to toothbrushing, compared with toothbrushing alone, for preventing and controlling periodontal diseases, caries, and plaque. 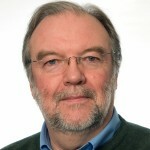 Searches were conducted in the Cochrane Oral Health’s Trials Register, the Cochrane Central Register of Controlled Trials (CENTRAL), Medline, Embase, CINAHL, the US National Institutes of Health Trials Registry (ClinicalTrials.gov) and the World Health Organization International Clinical Trials Registry Platform without restriction on language or date of publication. Randomised controlled trials (RCTs) including split- mouth design, cross-over trials and cluster-randomised trials of at least 4 weeks duration comparing toothbrushing and a home-use interdental cleaning device versus toothbrushing alone or with another device were considered. The screening and selection of studies, data abstraction and assessment of risk of bias was carried out independently by at least two reviewers. Data related to interproximal studies was extracted where possible. Primary outcomes included measures of gingivitis, periodontitis interproximal caries, plaque scores or indices and harms and adverse events. Random effects meta-analysis were undertaken using mean differences (MDs) or standardised mean differences (SMDs). 35 RCTs involving 3929 randomised patients were included. 6 studies were considered to be at high risk of bias, 2 at low risk and the remainder (27) at unclear risk of bias. Flossing and toothbrushing may reduce gingivitis at 1 month; Gingival index (GI) SMD = -0.58 (95%CI; -1.12 to -0.04) [8 trials, 585 patients, low certainty evidence]. Results for bleeding sites and plaque were inconsistent. Interdental brushing and toothbrushing may reduce gingivitis at 1 month; GI MD = -0.53, (95%CI; -0.83 to -0.23) [1 trial, 62 patients, very low certainty evidence]. Interdental brushing and toothbrushing may reduce plaque more than toothbrushing alone (SMD= -1.07(95%CI; -1.51 to -0.63) [2 trials, 93 patients, low certainty evidence]. Wooden sticks and toothbrushing may reduce bleeding sites at three months; MD= -0.25 (95%CI; -0.37 to -0.13) [1 trial, 24 patients, very low certainty evidence] but not plaque (MD -0.03, 95% CI -0.13 to 0.07). Rubber/elastomeric interdental cleaning sticks and toothbrushing may reduce plaque at one month; MD -0.22(95%CI; -0.41 to -0.03), this was not seen for gingivitis (GI, MD= -0.01(95%CI; -0.19 to 0.21) [1 trial, 12 patients, very low certainty evidence] bleeding MD=0.07(95%CI; -0.15 to 0.01) [1 trial, 30 patients]. Oral irrigators may reduce gingivitis measured by GI at one-month SMD= -0.48(95%CI; -0.89 to -0.06) [4 trials, 380 patients very low certainty evidence], but not at 3 or 6 months. Oral irrigators did not reduce bleeding sites at one month, MD= -0.00(95%CI; -0.07 to 0.06 [2 trials, 126 patients] or 3 months, or plaque at one month, SMD= -0.16 (95%CI;-0.41 to 0.10) [3 trials, 235 patients), 3 or 6 months, more than toothbrushing alone. [Low-certainty evidence]. Low-certainty evidence suggested interdental brushes may reduce gingivitis more than floss at one and three months but did not show a difference for periodontitis measured by probing pocket depth. Evidence for plaque was inconsistent. Low- to very low-certainty evidence suggested oral irrigation may reduce gingivitis at one month compared to flossing, but very low- certainty evidence did not suggest a difference between devices for plaque. Very low-certainty evidence for interdental brushes or flossing versus interdental cleaning sticks did not demonstrate superiority of either intervention. In studies measuring adverse events there were no severe events caused by devices, and no evidence of differences between study groups in minor effects such as gingival irritation. Using floss or interdental brushes in addition to toothbrushing may reduce gingivitis or plaque, or both, more than toothbrushing alone. Interdental brushes may be more effective than floss. Available evidence for tooth cleaning sticks and oral irrigators is limited and inconsistent. Outcomes were mostly measured in the short term and participants in most studies had a low level of baseline gingival inflammation. Overall, the evidence was low to very low-certainty, and the effect sizes observed may not be clinically important. Future trials should report participant periodontal status according to the new periodontal diseases’ classification, and last long enough to measure interproximal caries and periodontitis. 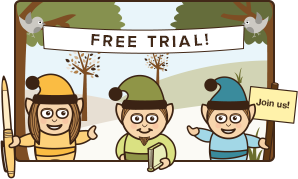 This Cochrane review updates two earlier reviews (Dental Elf – 6th Jan 2014; Dental Elf – 12th Dec 2011) and follows standard Cochrane methodology. 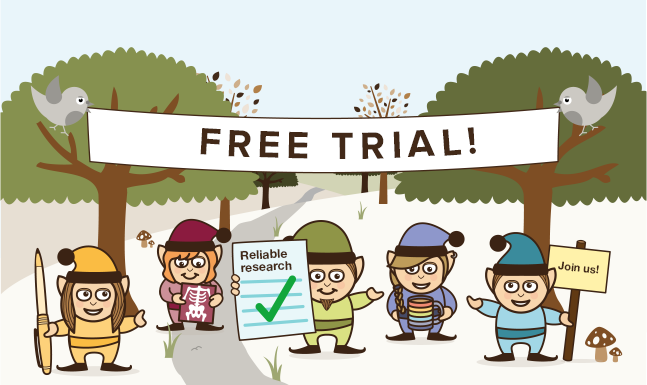 While more trials are now available since these earlier versions the quality of the available evidence is still low to very low. The findings suggest that floss and interdental brushes may be beneficial for gum health and that interdental brushes may be more effective than floss. The size of the effect seen may not be clinically important and the evidence for interdental stick and oral irrigators is more limited that the data for floss and interdental brushes. The reviewers highlight that future studies should be better designed and sufficiently powered to detect differences between the methods being tested and that they should look at longer term outcomes. They also suggest that there needs to be agreement on the preferred measures of gingivitis and plaque for future studies along with agreement of what differences are considered clinically important. Worthington HV, MacDonald L, Poklepovic Pericic T, Sambunjak D, Johnson TM, Imai P, Clarkson JE. Home use of interdental cleaning devices, in addition to toothbrushing, for preventing and controlling periodontal diseases and dental caries. Cochrane Database Syst Rev. 2019 Apr 10;4:CD012018. doi:10.1002/14651858.CD012018.pub2. [Epub ahead of print] Review. PubMed PMID: 30968949.